After the popularity of Skylanders: Spyro's Adventure on Wii and 3DS, it seems that turning toy figurine franchises into video games could become a bit of a trend. Just announced is Gogo's Crazy Bones for DS, due to arrive in North America in March. This title doesn't appear to feature 'portal' functionality that allows figurines to interact with the game, but that probably won't stop fans of the toys going crazy for it. At the moment this only appears to be confirmed for North America, but we'll keep an eye on this one and post any updates on a potential worldwide release. The press release is below for your perusal: do you want to add this to your collection? 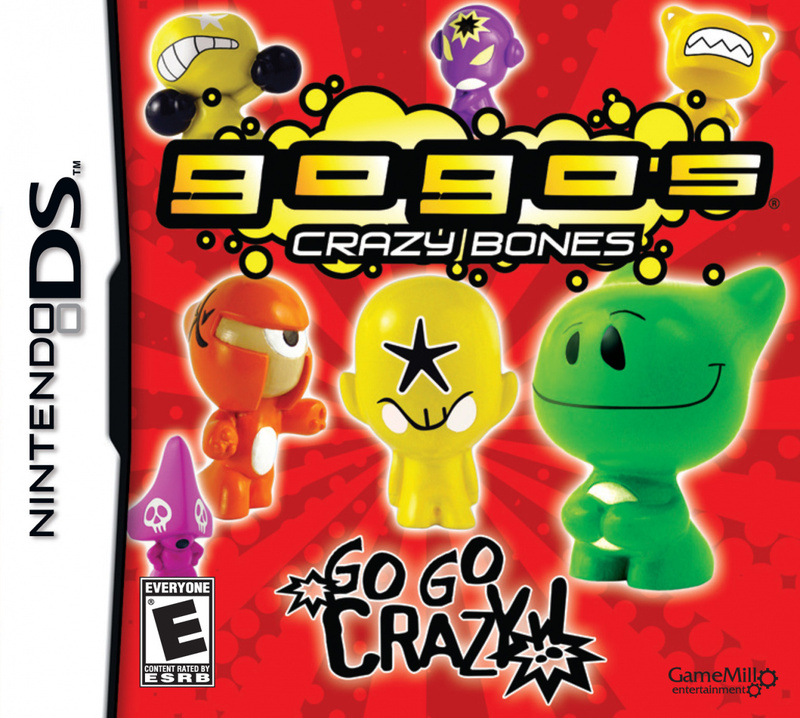 GameMill Entertainment, an independent publisher of entertaining mass-market video games, today announced plans to bring the popular Gogo’s Crazy Bones toy characters and games to digital life with Gogo’s Crazy Bones game for the Nintendo DS™ family of hand-held systems. Gogo’s Crazy Bones the game will make its debut in retail stores this March. Gogo’s Crazy Bones are small, colorful, figurines with endless gaming, collecting and learning possibilities. Players will find Gogo’s Crazy Bones the game jam-packed with more than 70 puzzles and 30 favorite Gogo’s to collect, each one with a unique name, design, personality and special ability. Unlock five Gogo’s in every level as you take on popular Gogo’s games like Knock Out, Battle and Basket Attacks. Earn stars and unlock rewards as you explore interactive environments from the bus stop to the playground. Gogo’s Crazy Bones the game provides hours of fun and entertainment as you collect, trade and play with friends! 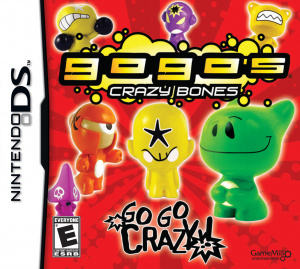 Developed by Black Lantern Studios, Gogo’s Crazy Bones the game for Nintendo DS™ is rated “E” for Everyone by the ESRB. For additional information about GameMill’s line of products, please visit: www.game-mill.com. What? These things you get free everytime you spend €10,- at a supermarket have a video game now? You guys get them free!? Lucky! I grew out of DS games... I'm too used to 3DS games now. I too used to collect the first few "sets" (if you can call them that) of Crazy Bones. I doubt the game will be any good, honestly, but it's kinda neat to see the franchise was revived. @10 Nope. DS still gets DSiWare and a NobunagaXPokemon game coming. Of course it's only confirmed for North America. The only things that are at first only confirmed for Japan are the things that are actually worth something. Weren't most of the Skylanders figurines just developed for the game and didn't exist before ? Packshot doesn't look too good for this game, but maybe they can pull off a decent surprise. Who knows. I will, with outmost respect, pass on this. ah i used to collct these and play with them with a boy at the park when my little brother was at soccer. after spending over 30$ on these peices of junk i stopped collecting them because the soccer season ended and i couldnt play with that kid anymore. $30!!!!!!!!!!!!!!!!!!! i couldof bought so many retro games! there not as good as "bouncin boneheads" who remembers those? Man, that takes me back to 1999. Why are people constantly still making 3DS games! ?